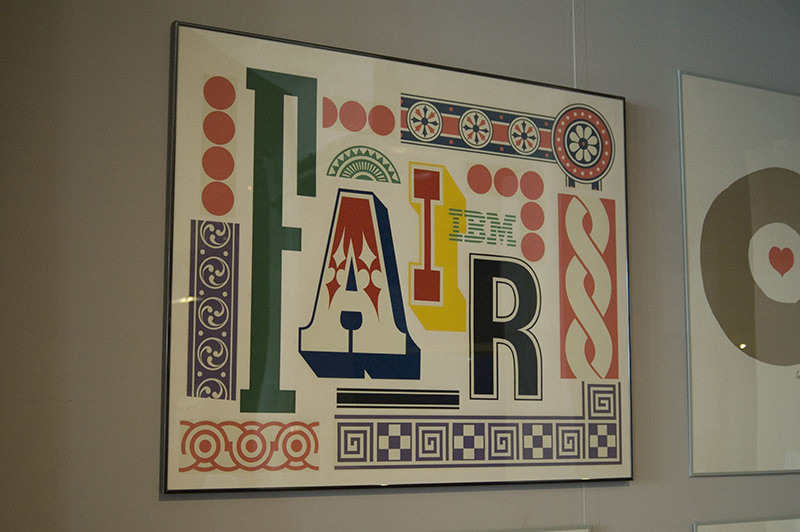 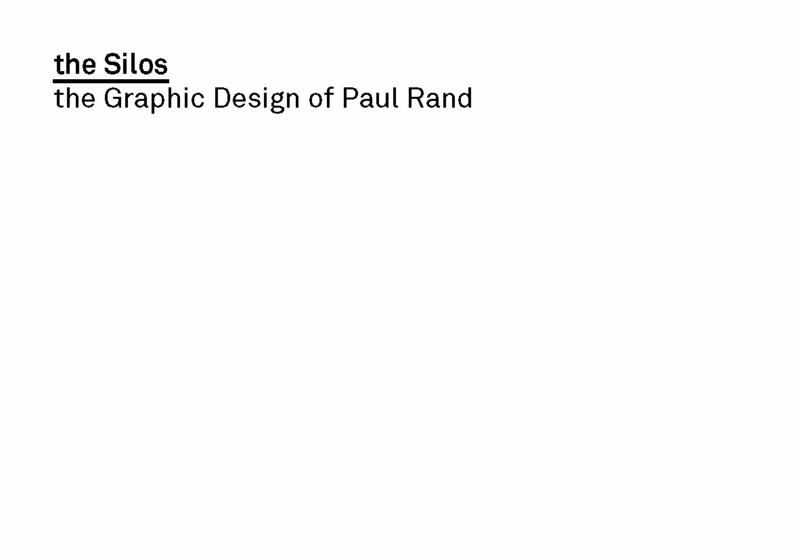 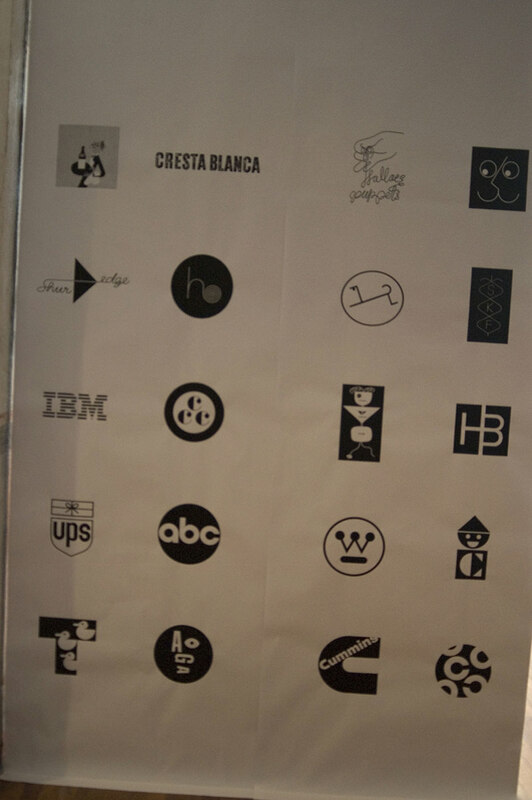 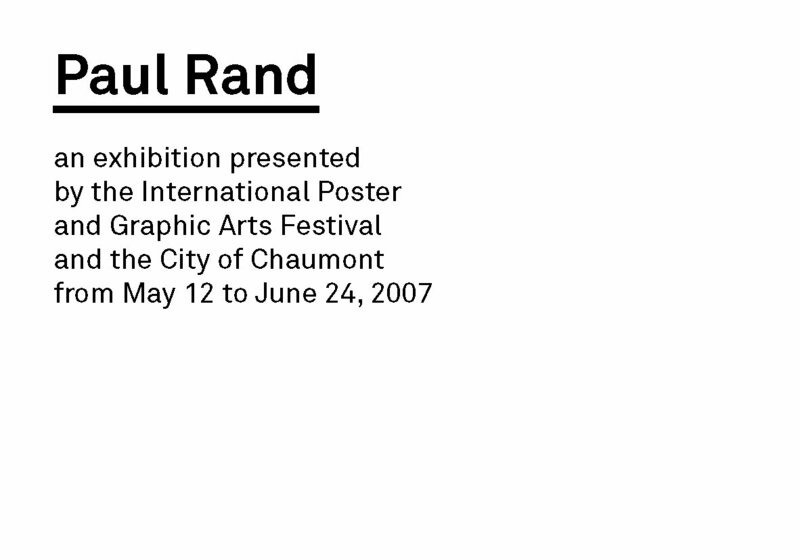 If there is any one graphic designer who has had a profound impact on the profession in the United States, and also earned world-wide recognition and respect, it is Paul Rand. 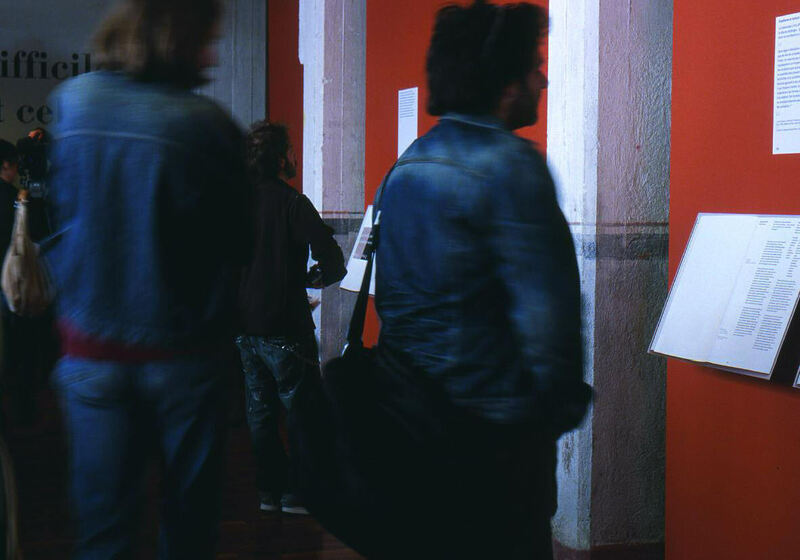 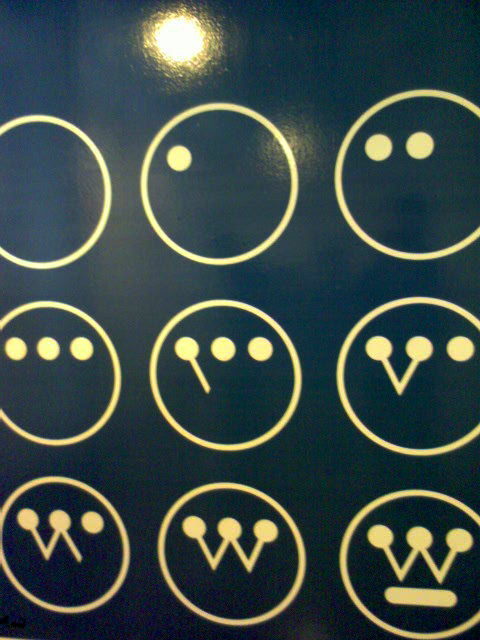 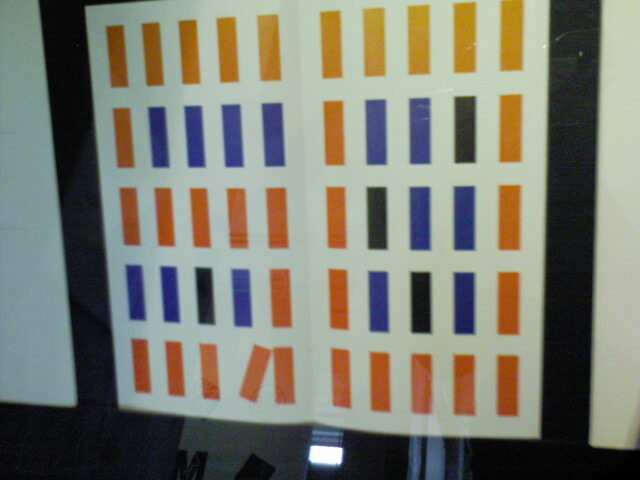 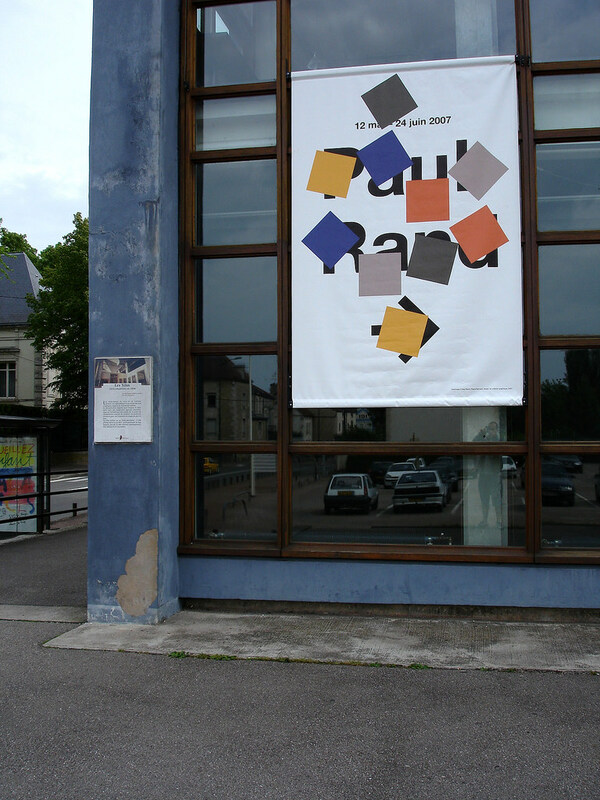 This is the first exhibition of his work in Europe. 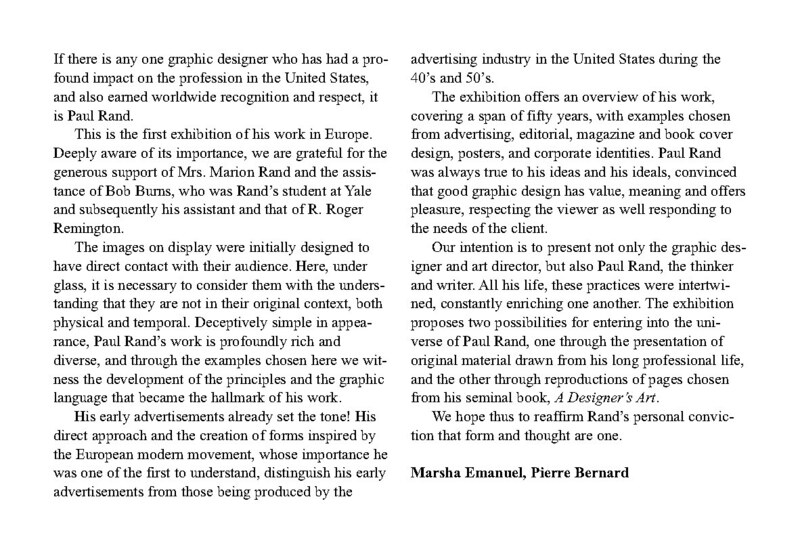 Deeply aware of its importance, we are grateful for the generous support of Mrs. Marion Rand and the assistance of Bob Burns, who was Rand’s student at Yale and subsequently his assistant and that of R. Roger Remington. 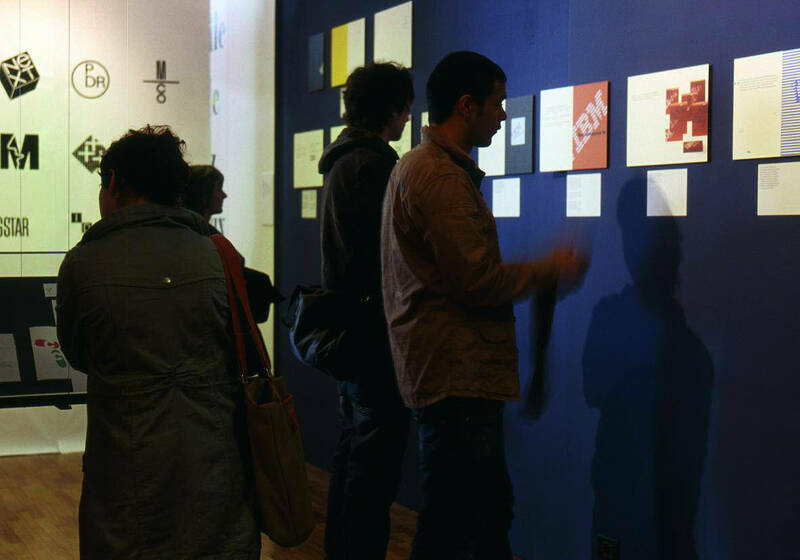 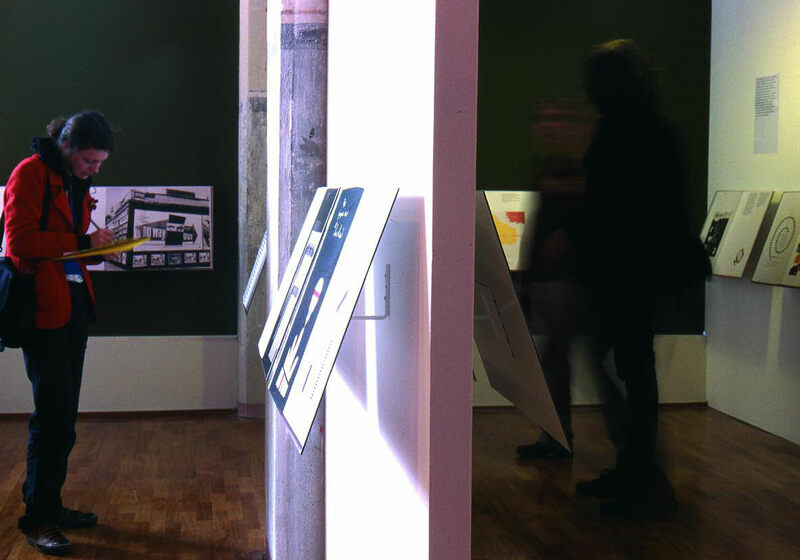 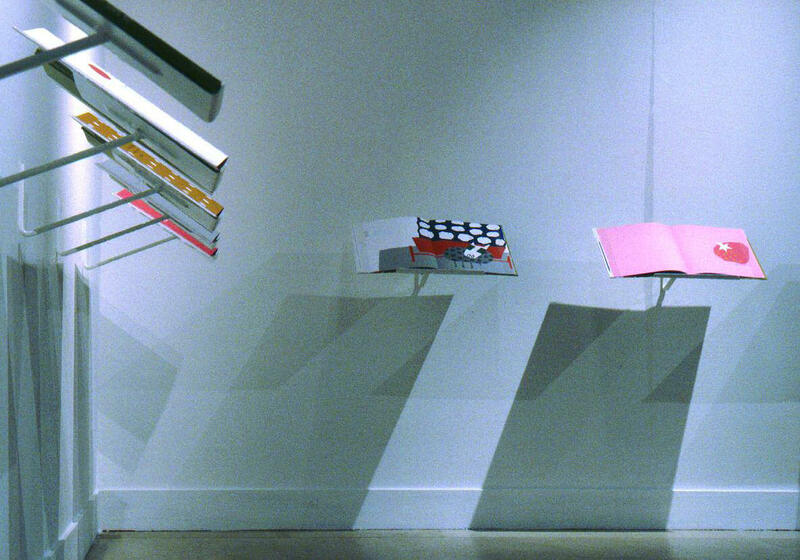 The images on display were initially designed to have direct contact with their audience. 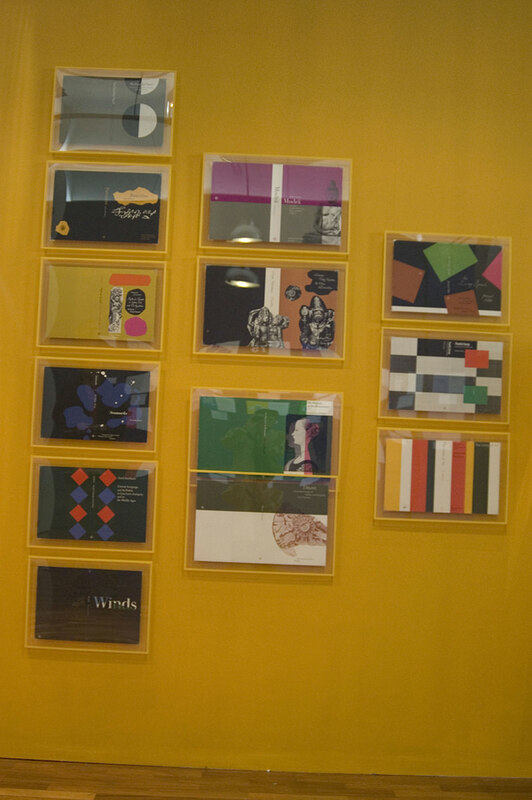 Here, under glass, it is necessary to consider them with the understanding that they are not in their original context, both physical and temporal. 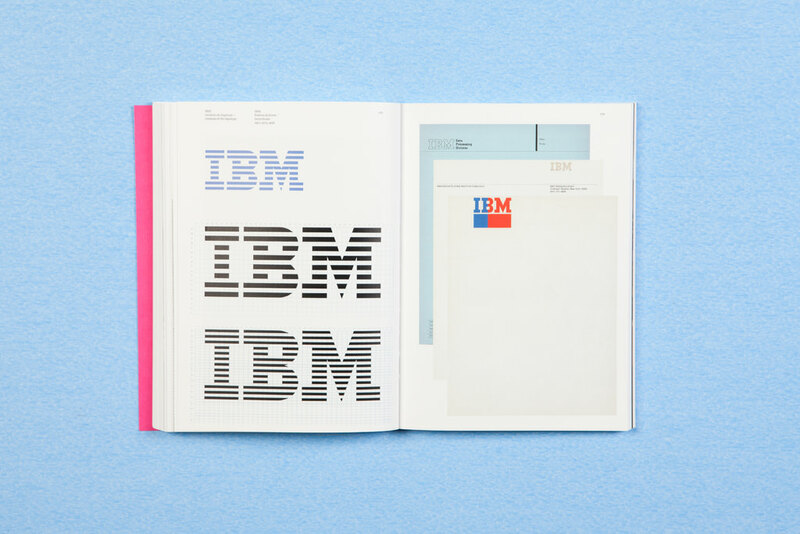 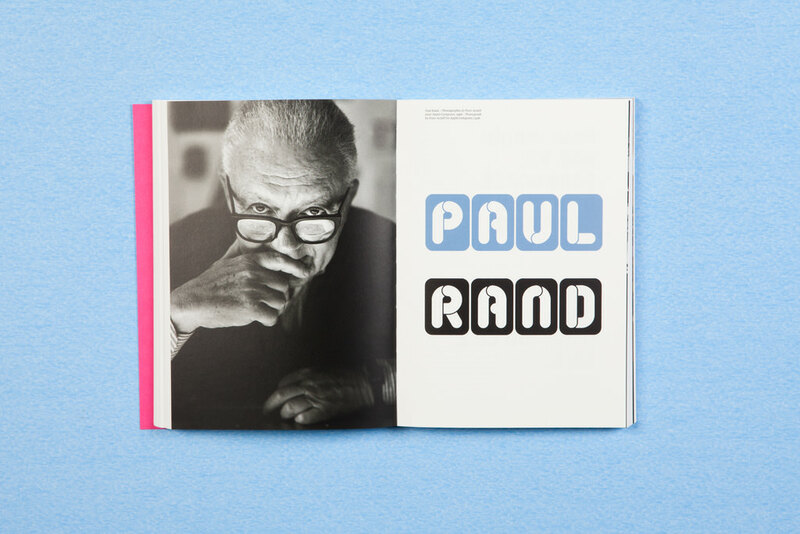 Deceptively simple in appearance, Paul Rand’s work is profoundly rich and diverse, and through the examples chosen here we witness the development of the principles and the graphic language that became the hallmark of his work. 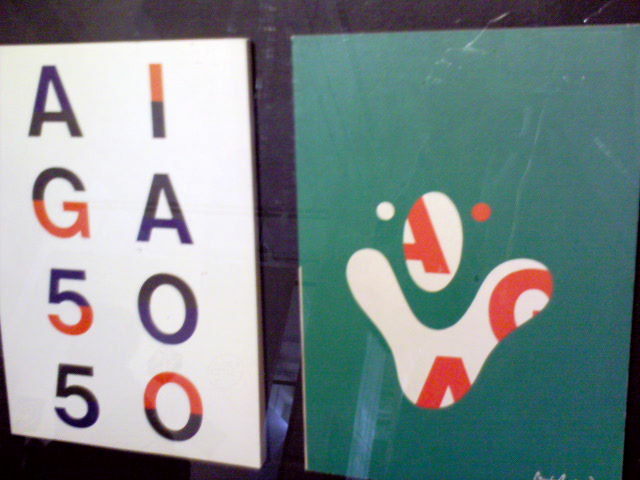 His early advertisements already set the tone! 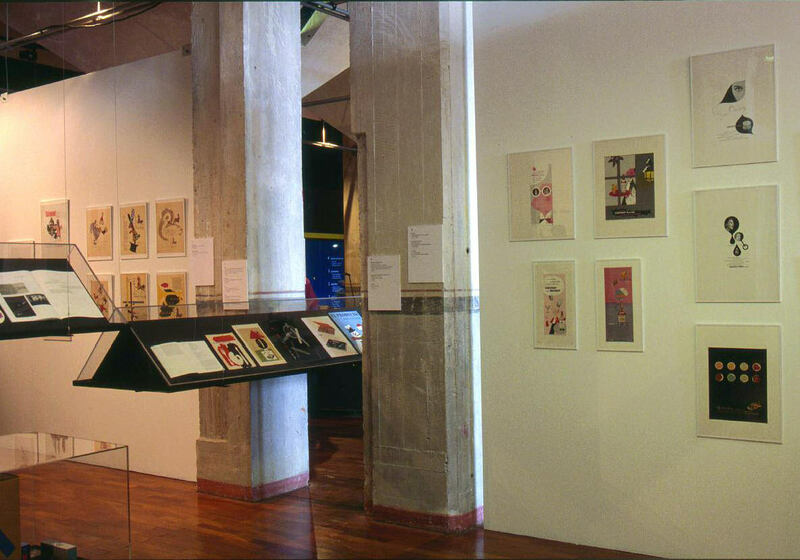 His direct approach and the creation of forms inspired by the European modern movement, whose importance he was one of the first to understand, distinguish his early advertisements from those being produced by the advertising industry in the United States during the 40’s and 50’s. 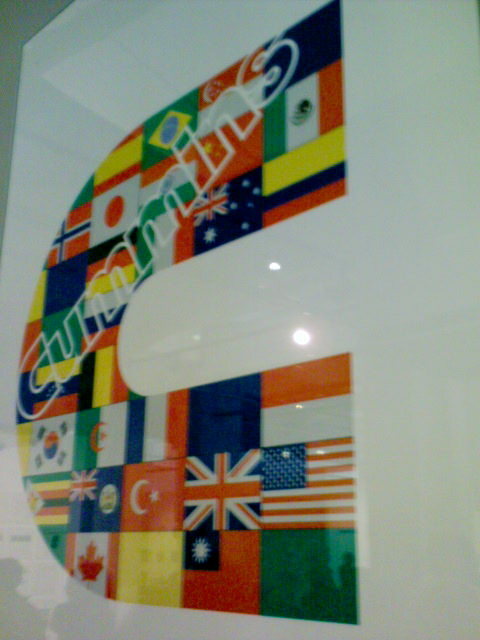 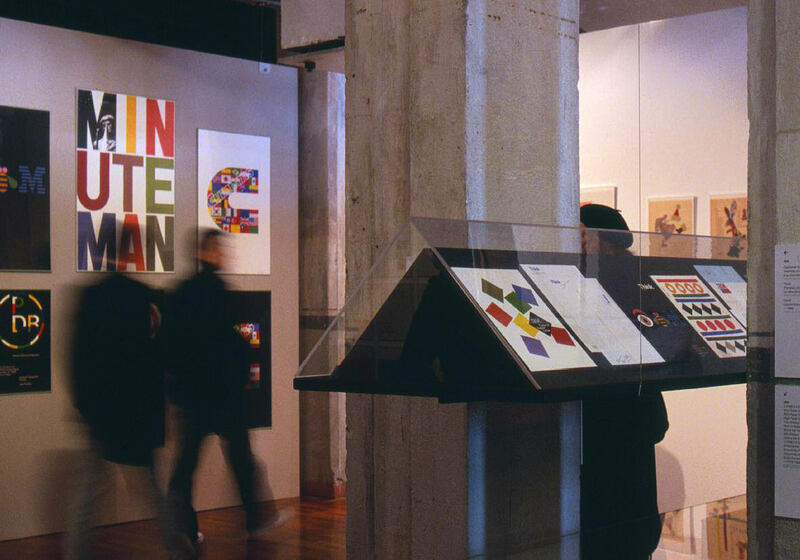 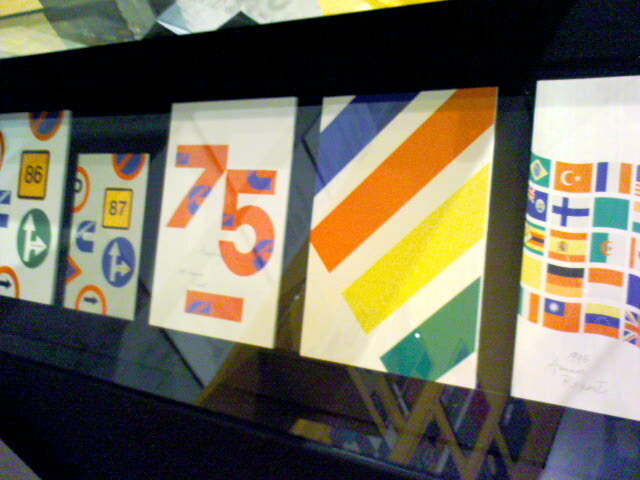 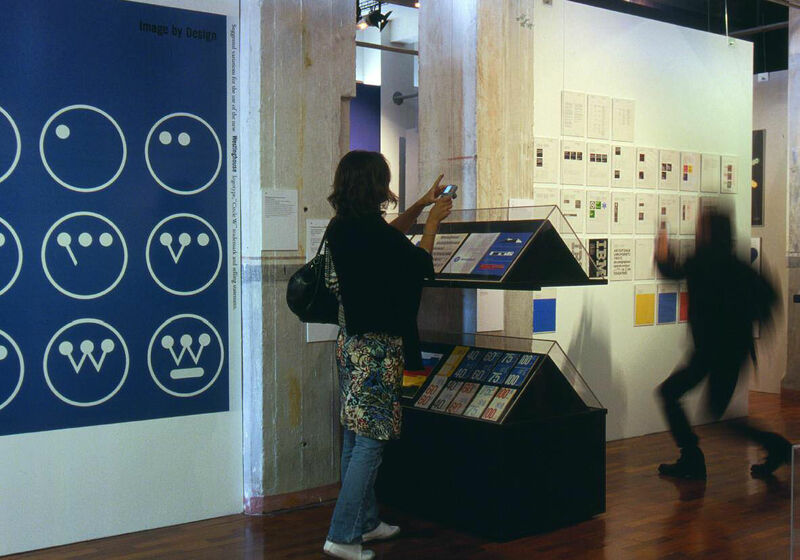 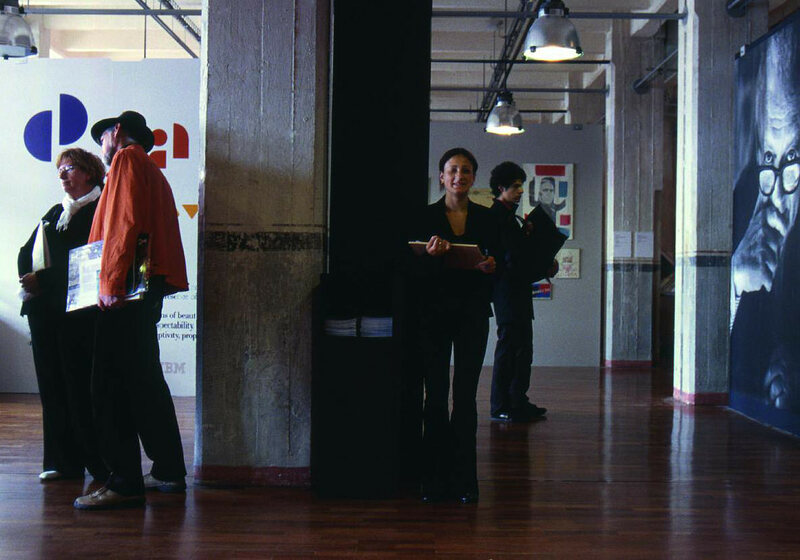 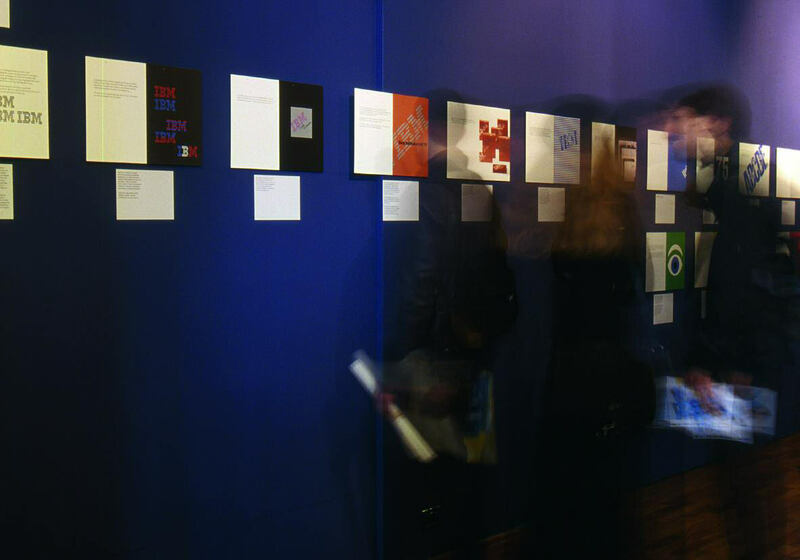 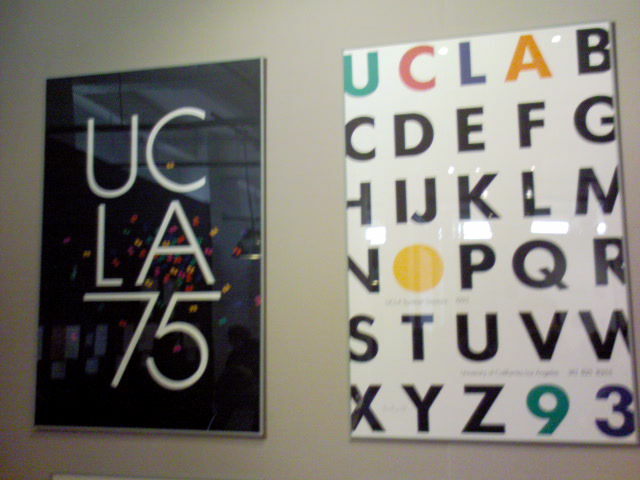 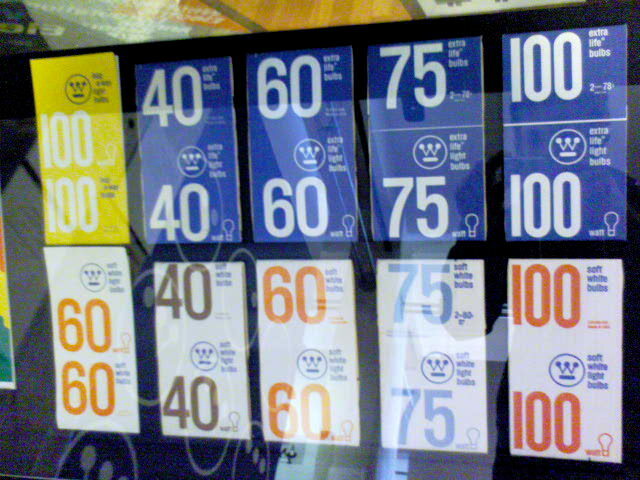 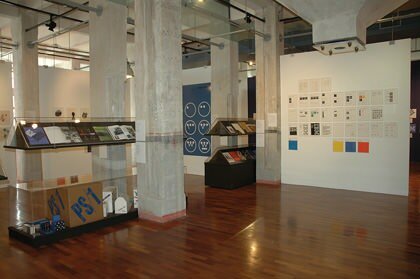 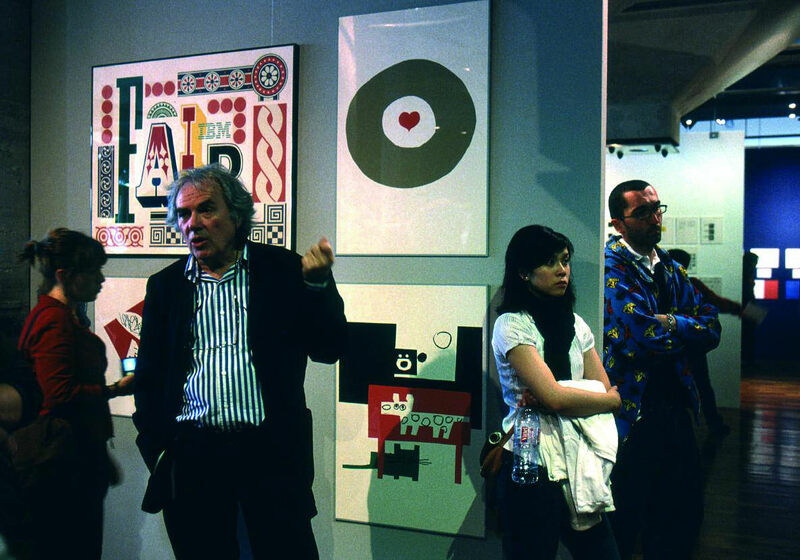 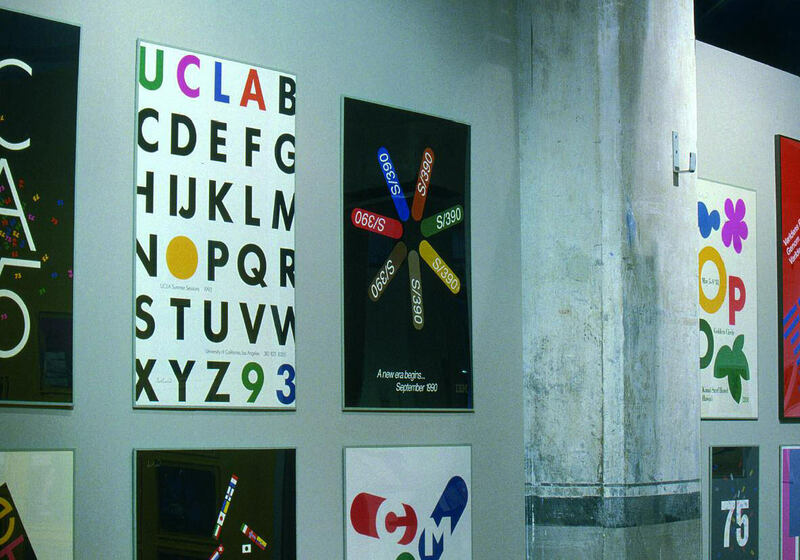 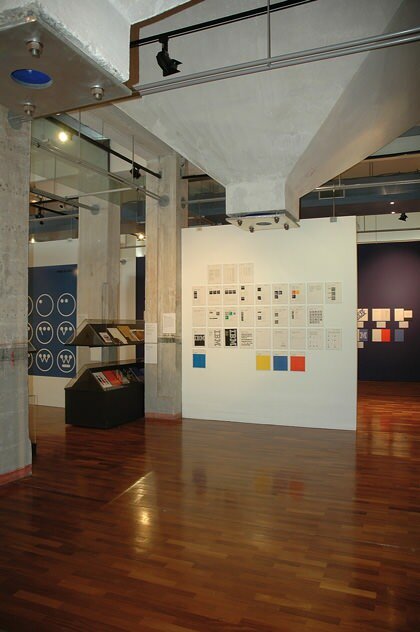 The exhibition offers an overview of his work, covering a span of fifty years, with examples chosen from advertising, editorial, magazine and book cover design, posters, and corporate identities. 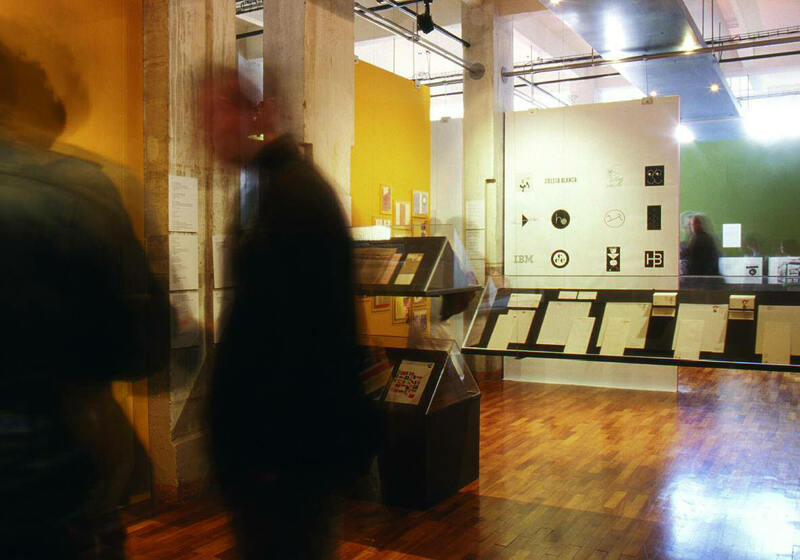 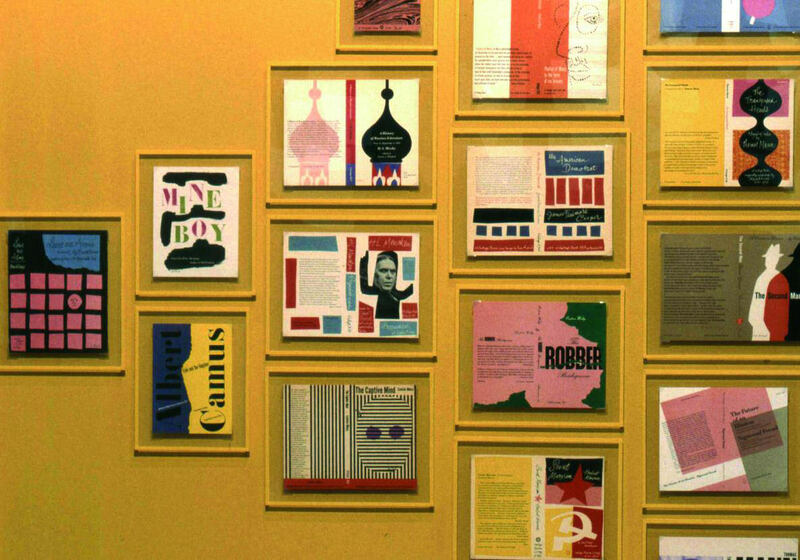 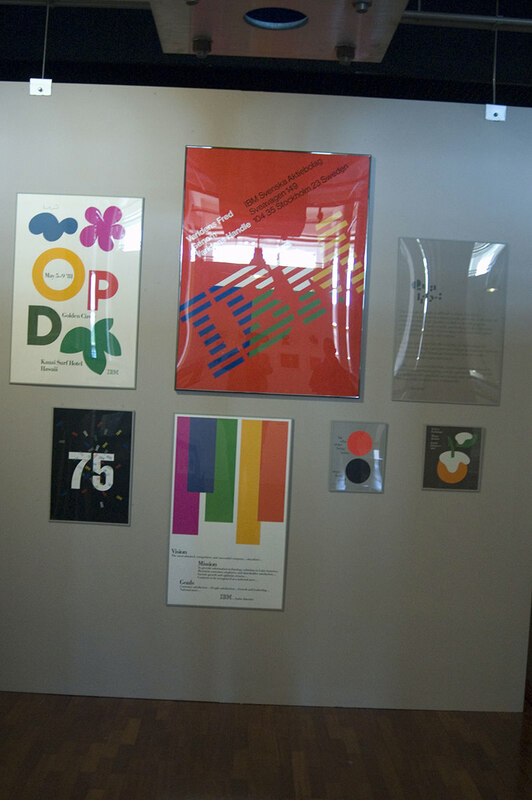 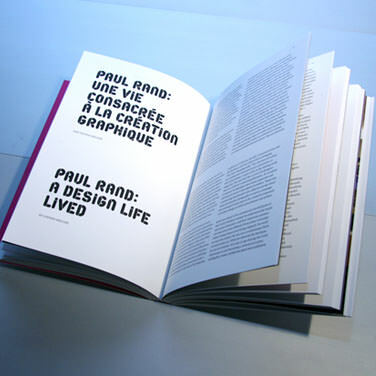 Paul Rand was always true to his ideas and his ideals, convinced that good graphic design has value, meaning and offers pleasure, respecting the viewer as well responding to the needs of the client. 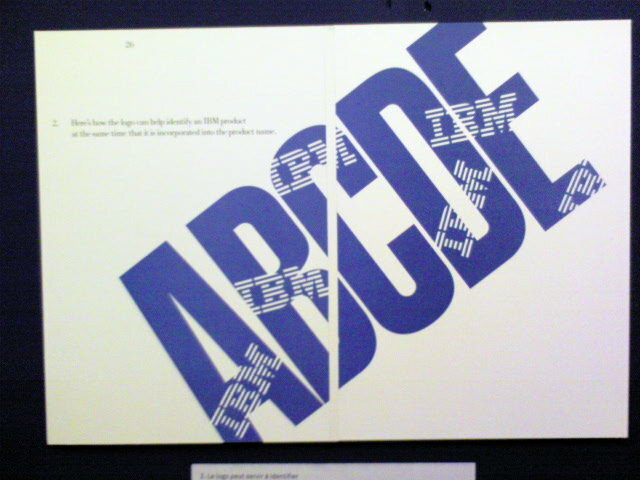 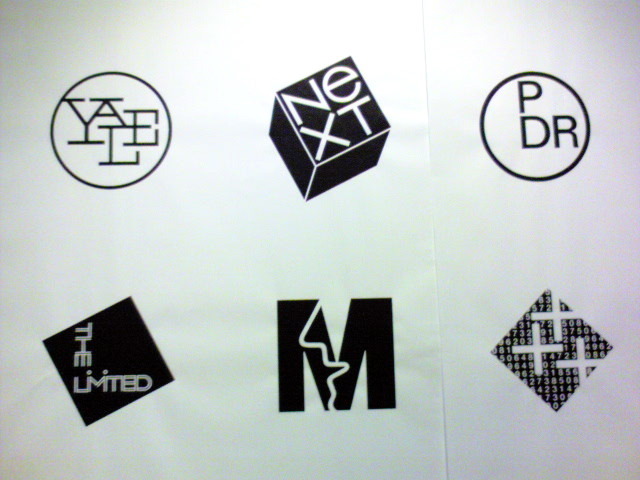 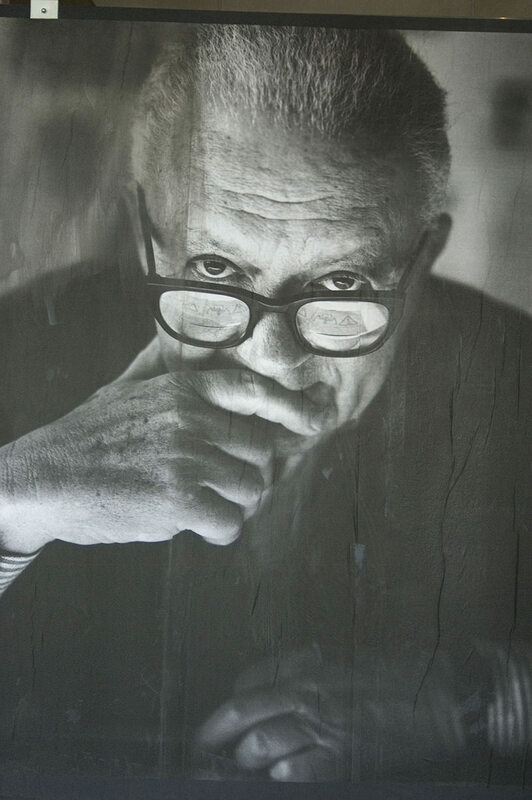 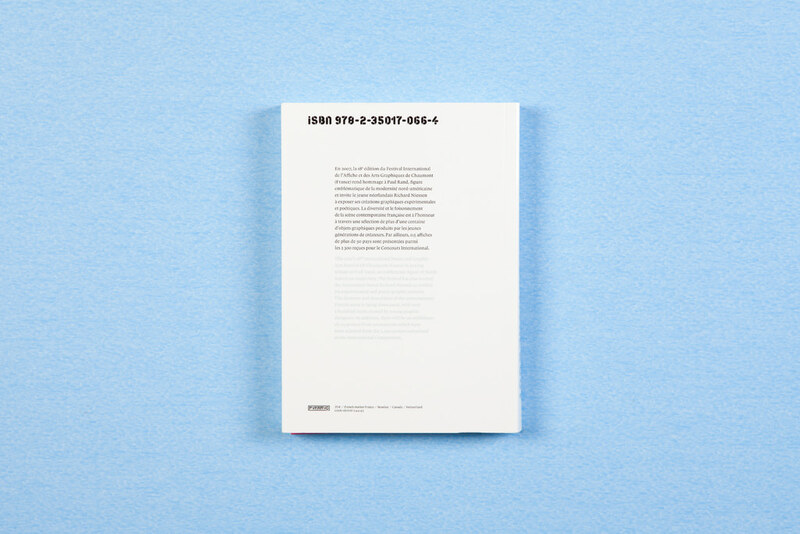 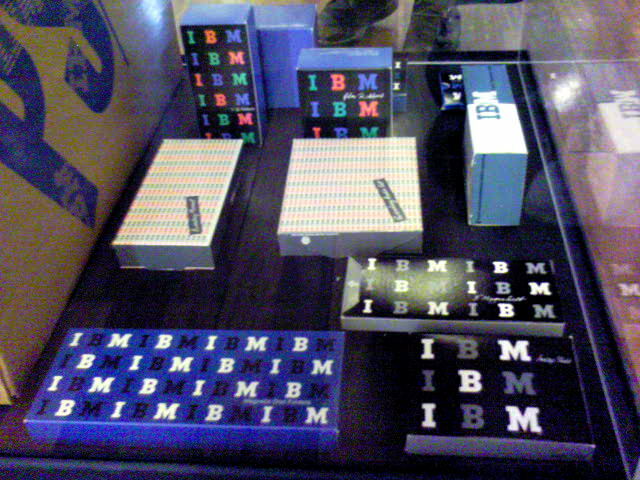 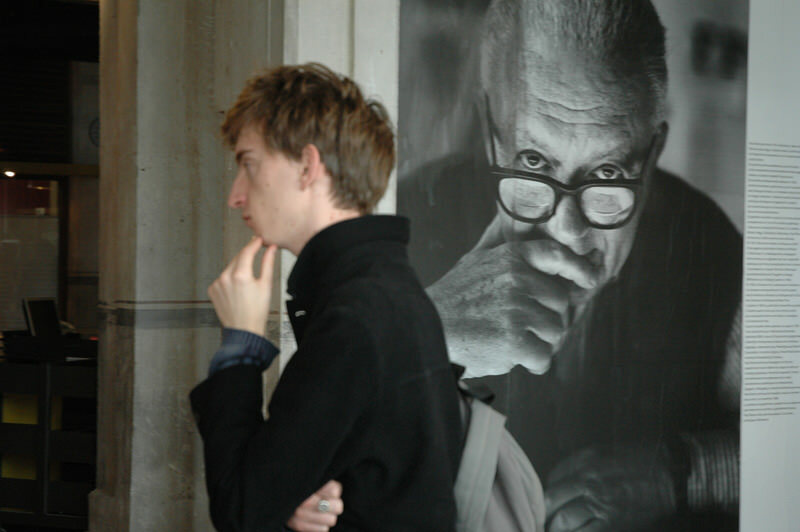 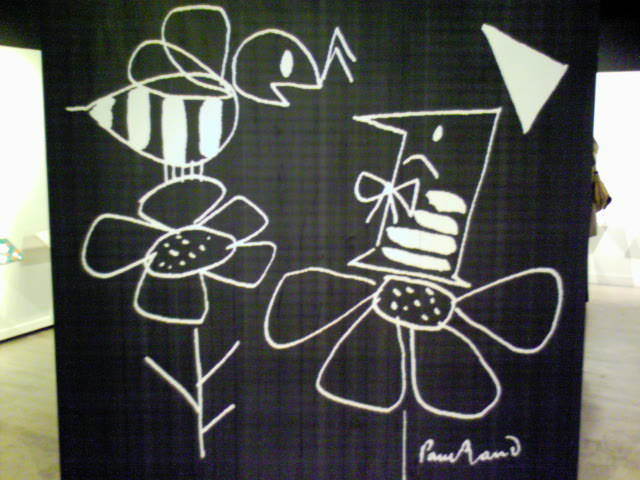 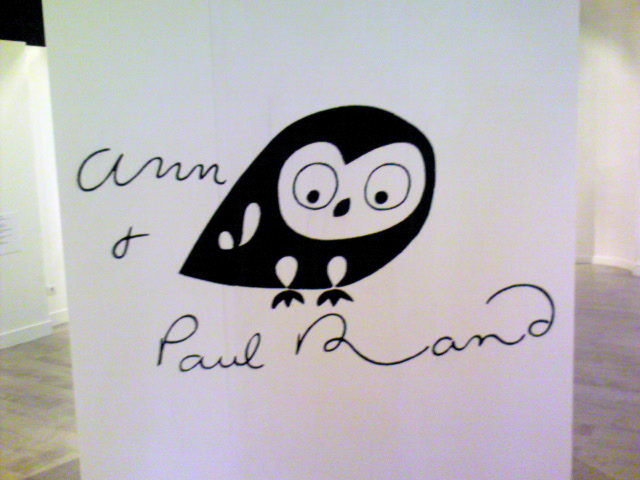 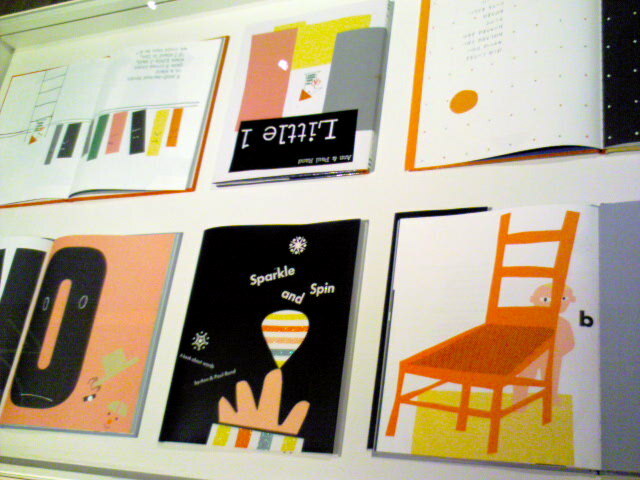 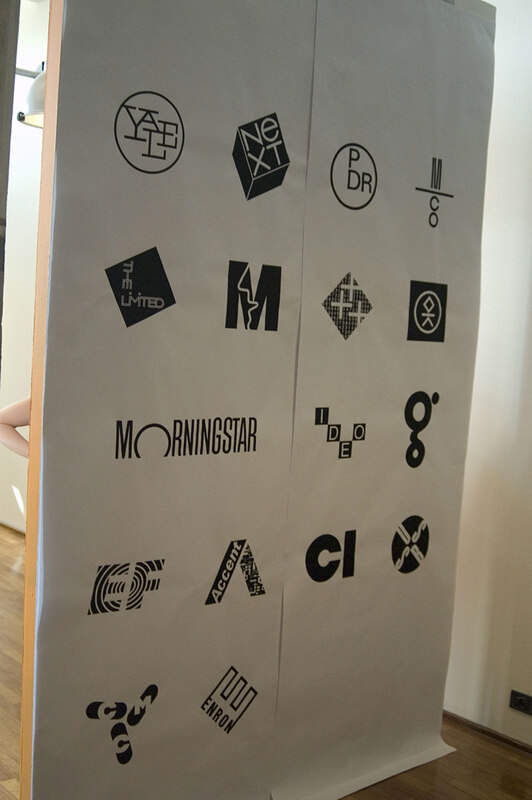 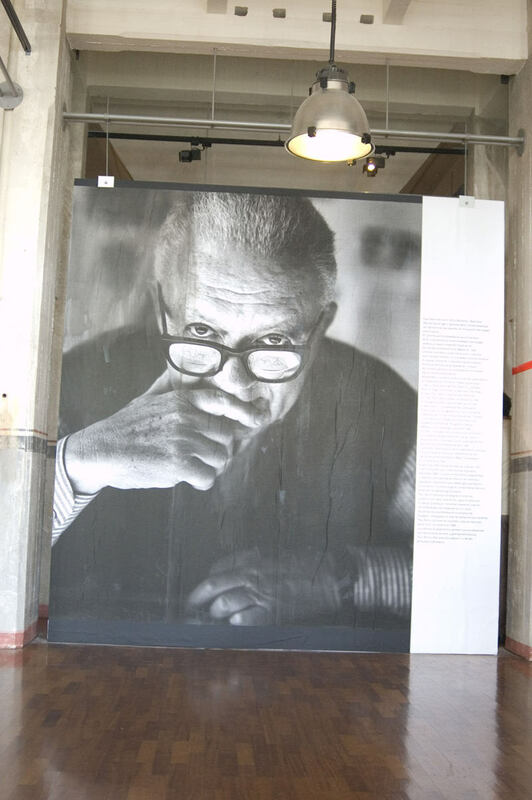 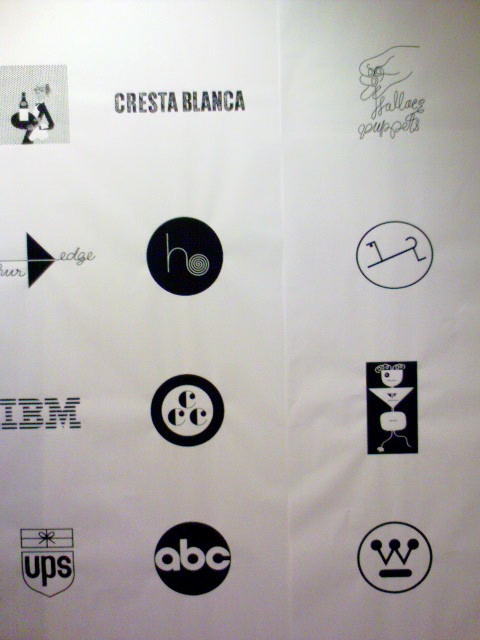 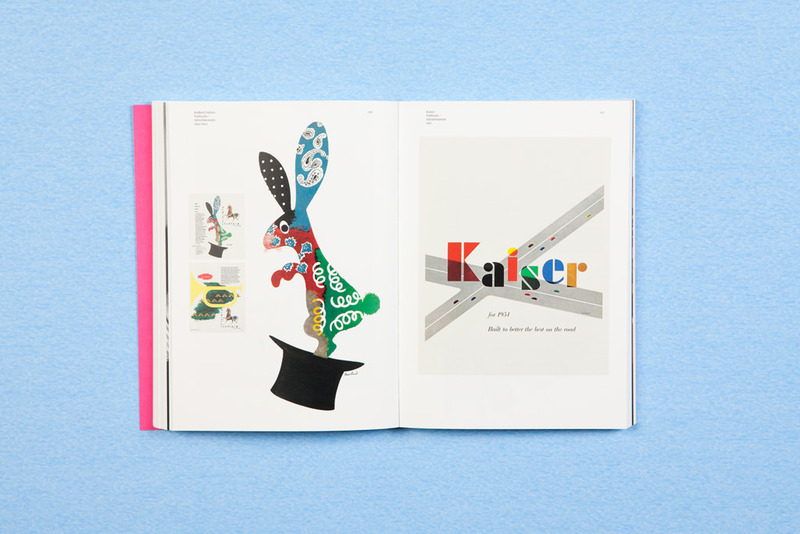 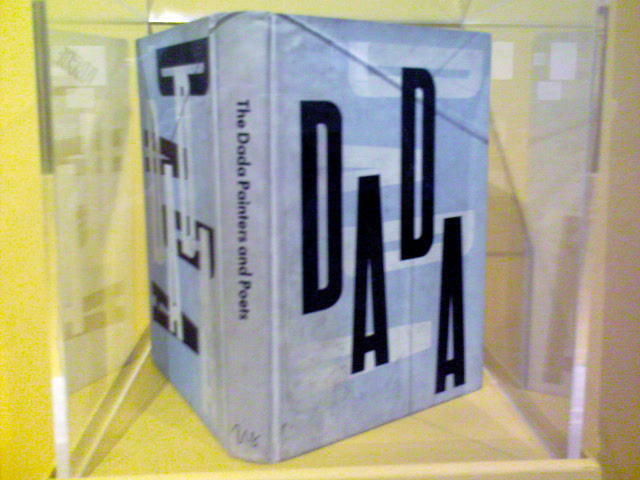 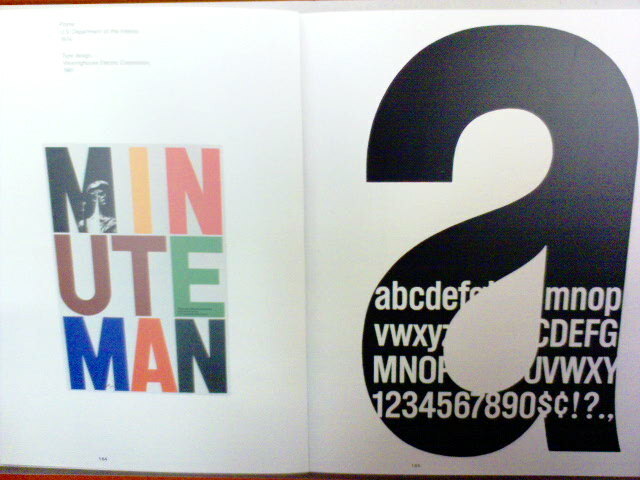 Our intention is to present not only the graphic designer and art director, but also Paul Rand, the thinker and writer. 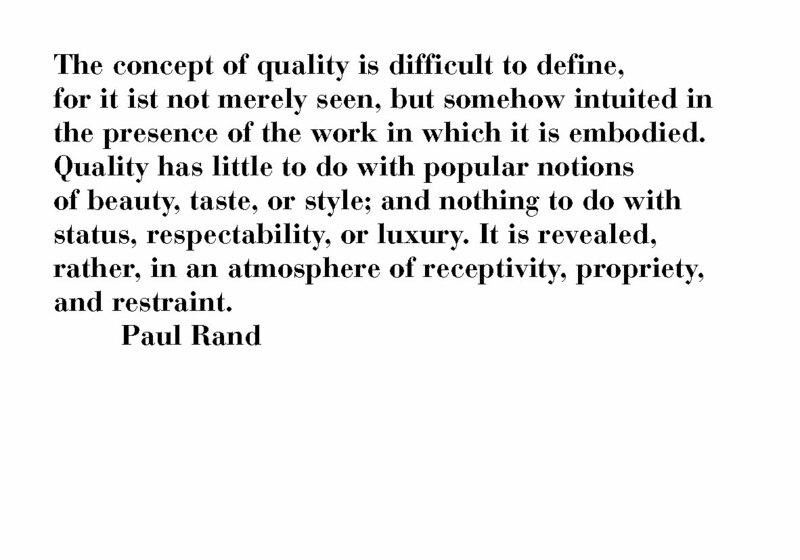 All his life, these practices were intertwined, constantly enriching one another. 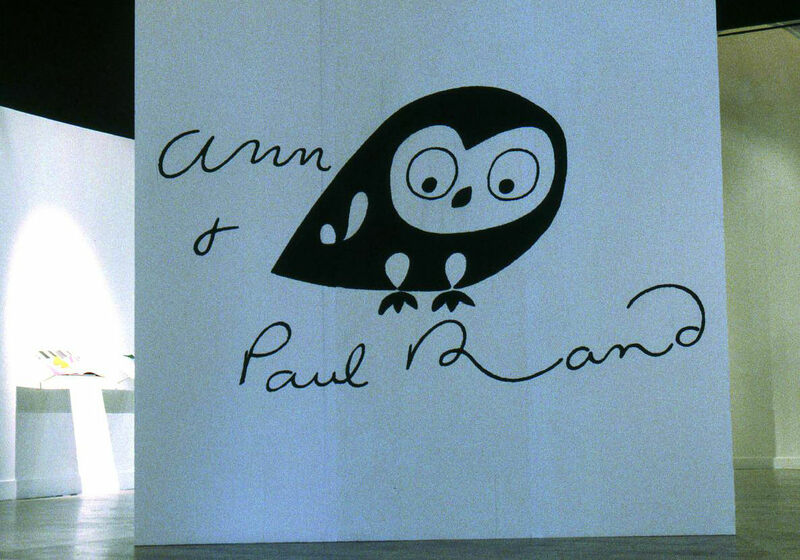 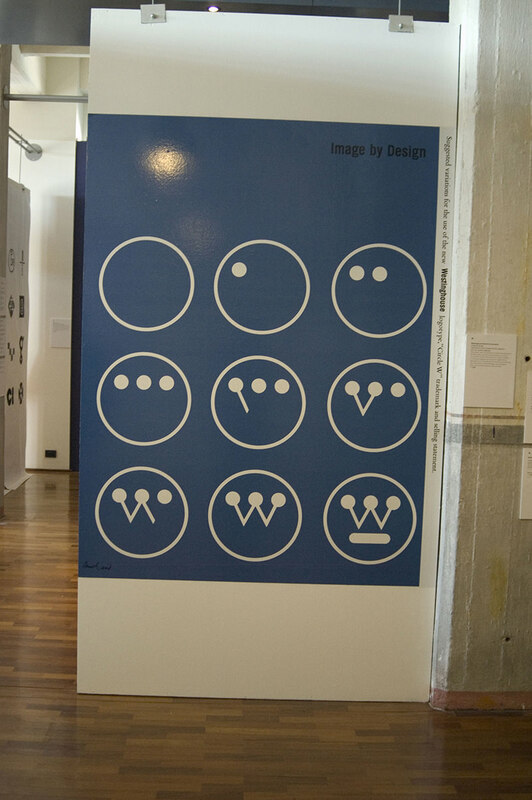 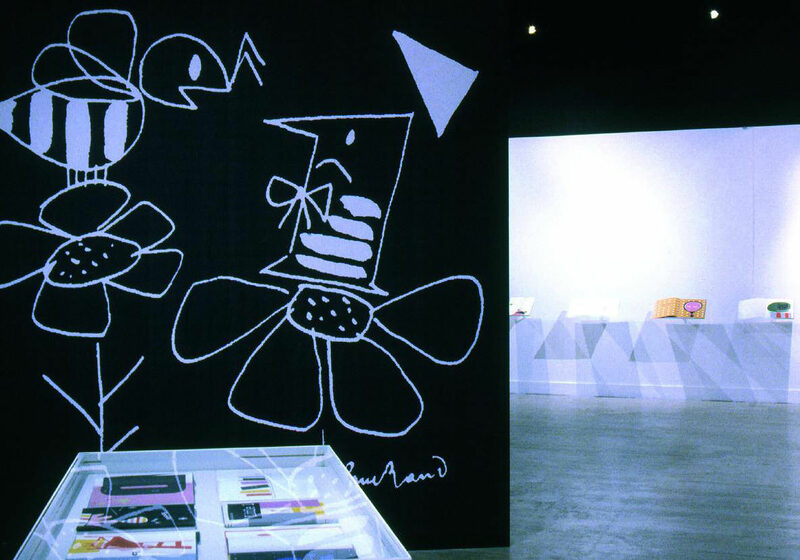 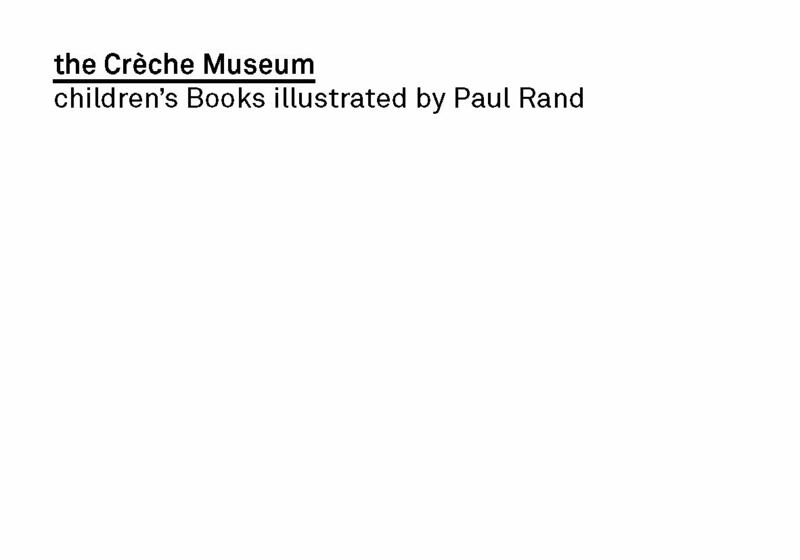 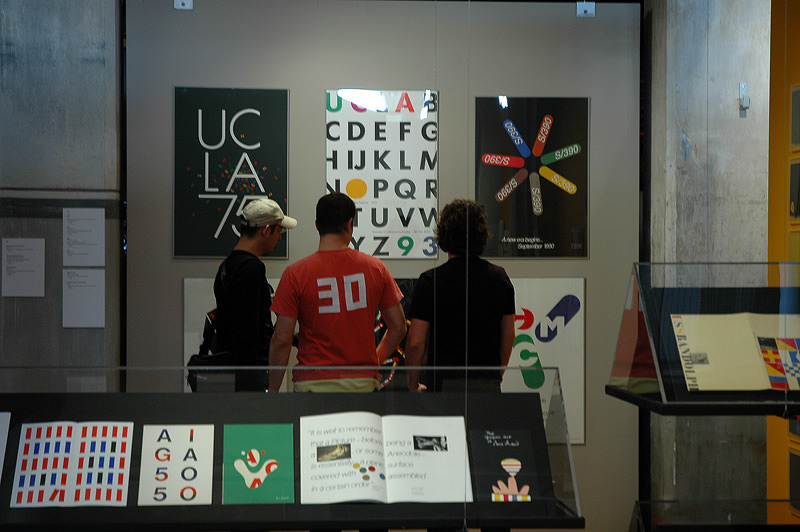 The exhibition proposes two possibilities for entering into the universe of Paul Rand, one through the presentation of original material drawn from his long professional life, and the other through reproductions of pages chosen from his seminal book, A Designer’s Art. 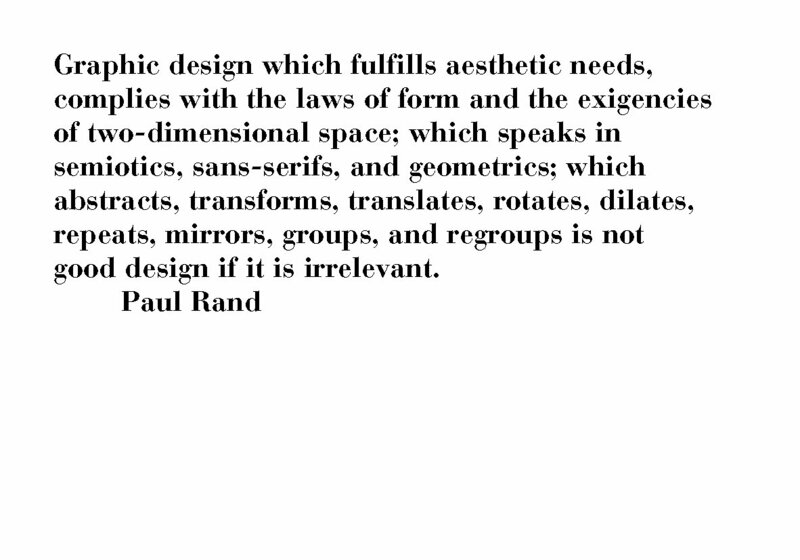 We hope thus to reaffirm Rand’s personal conviction that form and thought are one. 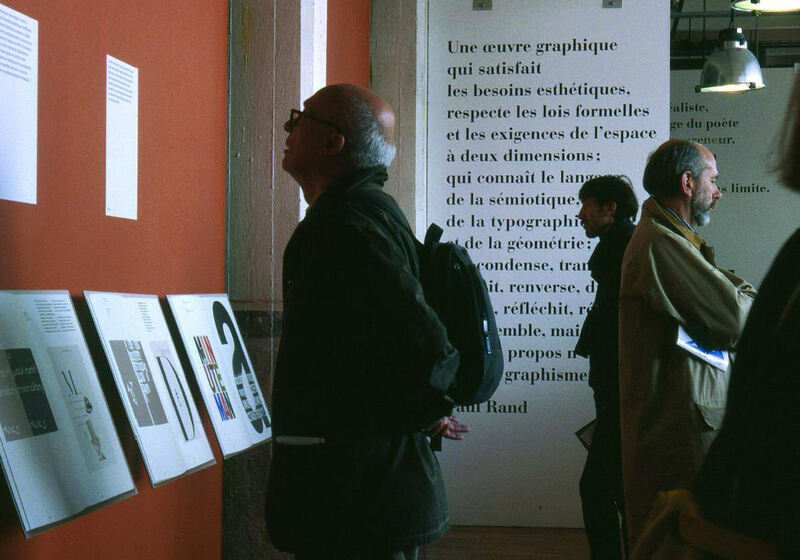 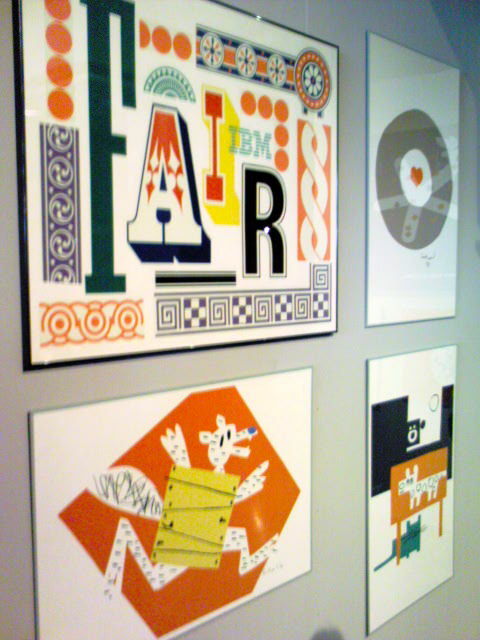 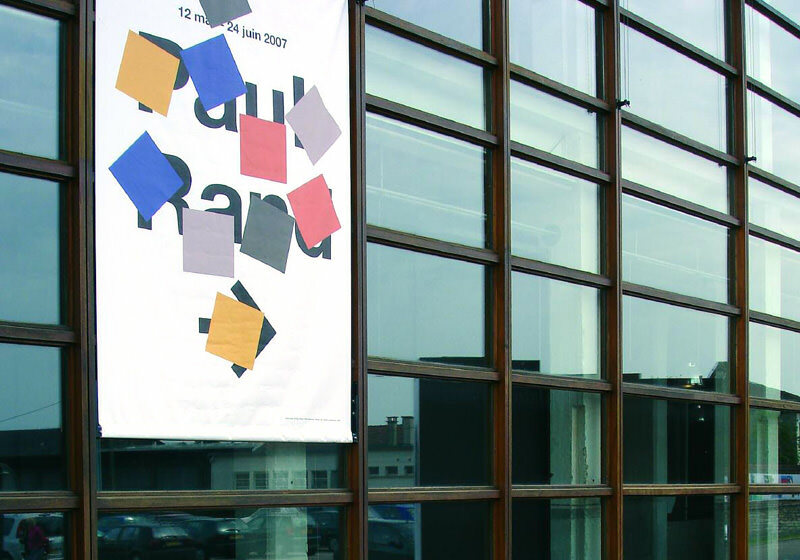 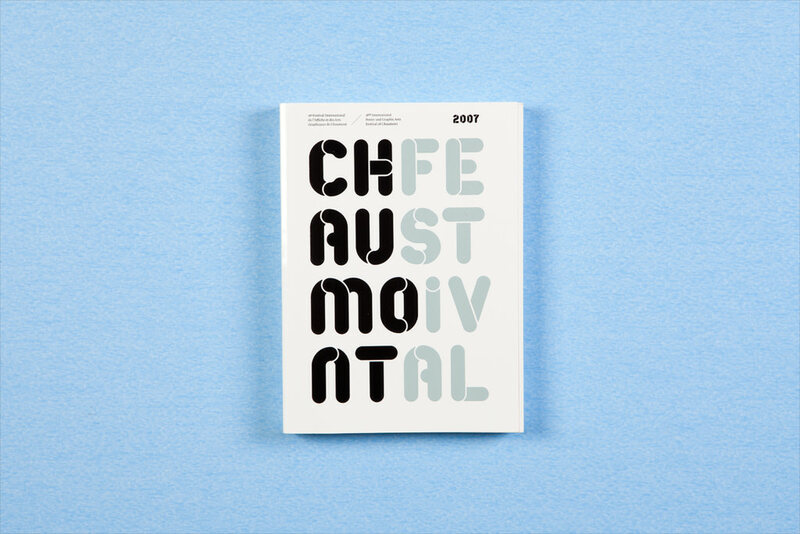 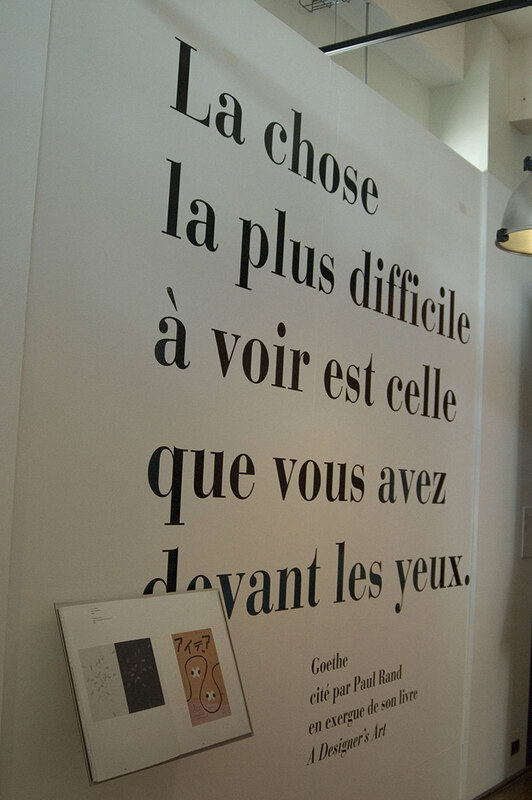 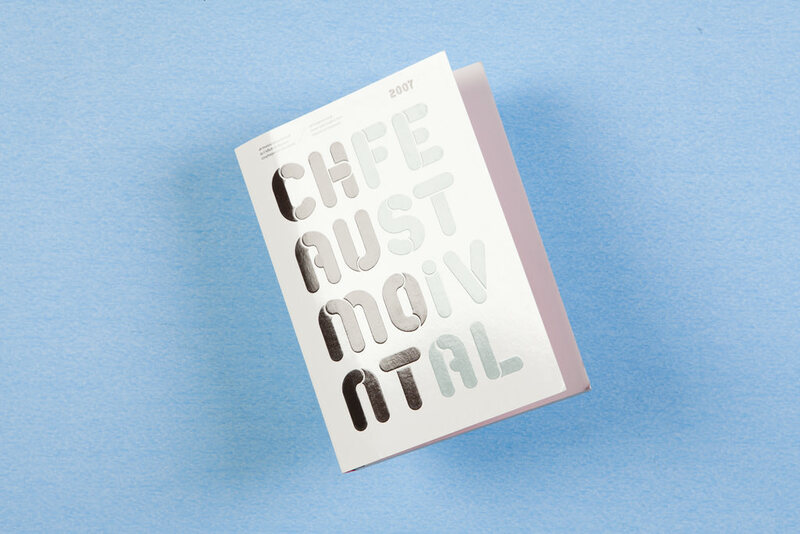 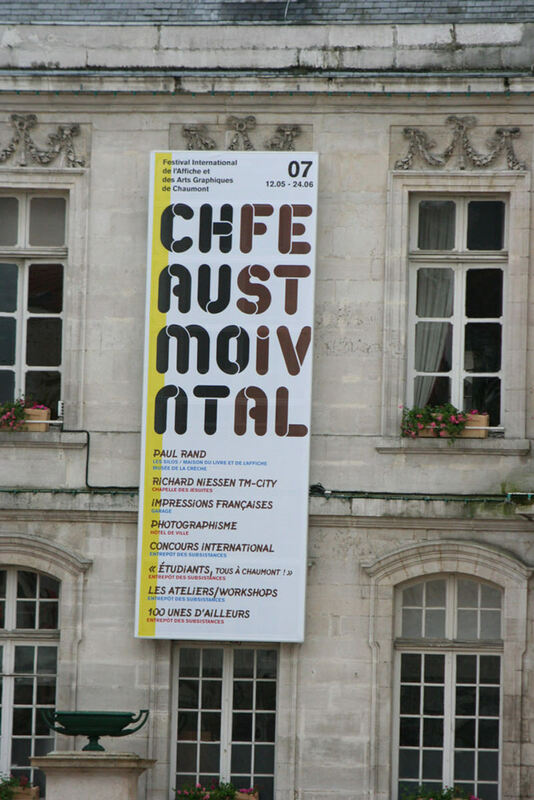 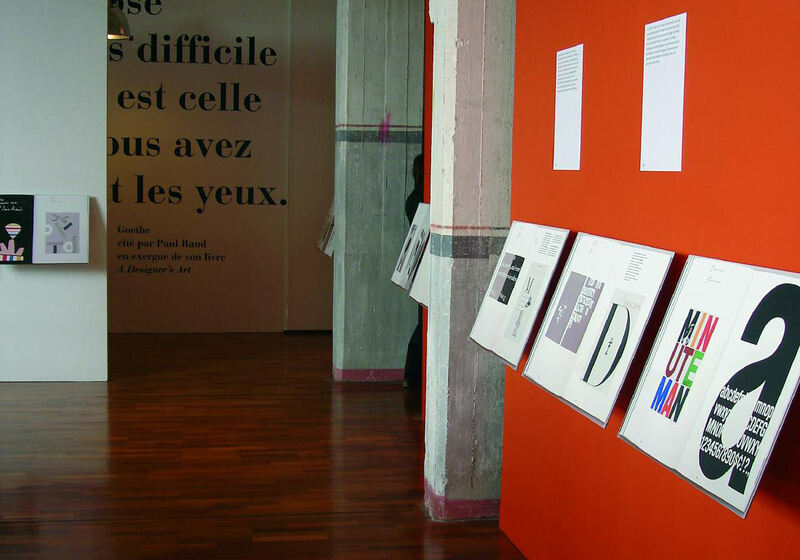 This exhibition is organized for the International Festival of the Poster and Graphic Arts with the support of the City of Chaumont. 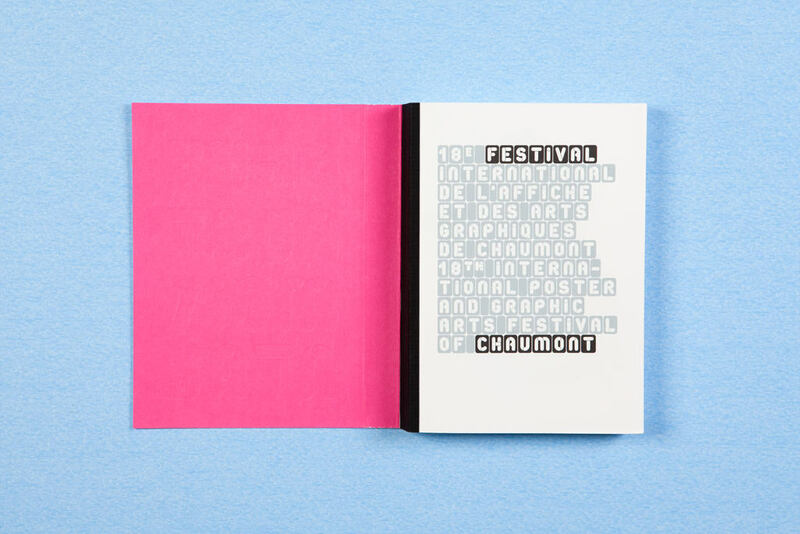 The Festival receives support from the General Council of the Haute-Marne, the Regional Council of Champagne-Ardenne / ORCCA, the Regional Direction of Cultural Affairs / the Ministry of Culture and Communication, the Lyonnaise Waters and Dalkia.